50% of today’s young student population is female. 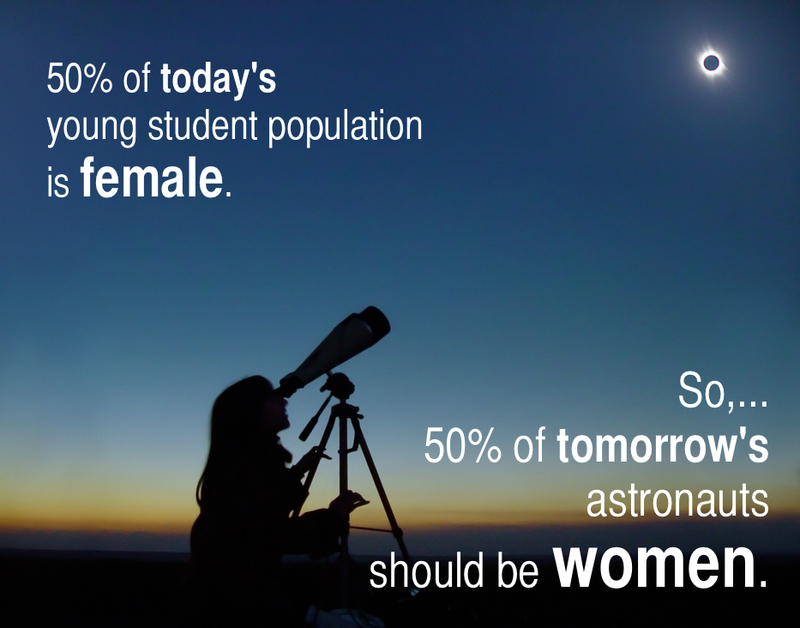 So 50% of tomorrow’s astronauts should be women. "My name is Mike Mongo and I am an astronaut teacher. Also: author & space STEM educator. While I travel frequently, I live on the island of Key West in the Florida Caribbean. My primary occupation has me working with students and encouraging students to pursue careers in space and astronautics. Much of my time is spent writing, teaching and learning about space and space travel. Of all the things I love doing being an astronaut teacher is certainly my favorite and most fulfilling."